Automotive services ads in Gold Coast. Thank you for visiting our free advertising website Automotive services , Gold Coast section. We provide high response free classifieds and free advertisement. Use our online free Automotive services classifieds placement system to find, list, offer Automotive services online! Rite Price Distributors, the right place for the perfect marine product suppliers. Our services embrace supplying the supreme quality automotive, marine, timber, decorative paint, and accessories. We deliver the best services as Marine Wholesale Distributors. Our firm is famous for the finest services in marine commodities. Nano Clear is a Queensland based Australian company. It specializes in the research, development and manufacturing of first to market the nanocoatings with multi functional properties. They provide the industrial clear coating protection cairns for their valuable customers. To know more call on: 0418308526 or visit on: https://www. United Limousines Gold Coasts mission is to provide its clients the fast and easy access of corporate limo and chauffeured transportation services for almost all types of occasions at unbeatable prices throughout in South East Queensland. We provide you great deals and services that you cannot find anywhere else. Getting the right motorcycle academy is a tough job because this is related to our life and above all safety. This is the reason we will explain why we are the top Q ride motorcycle licensing and training Academies. AMA “Q ride Gold Coast”, is the perfect answer to your motorcycle licencing needs Address: 1 Jondique Ave Merrimac QLD 4226 Australia Website: http://www. Transform your 4WD into the ultimate adventure machine with a wide range of Australianengineered TJM products and accessories. From bull bars, snorkels, suspension, winches, side and rear bars, recovery equipment, driving lights and heaps more, TJM Australia has all the gear you need to get fully equipped. Highly Skilled Auto Electricians, Mechanics and Air Conditioning Technicians offering quality automotive services for cars, trucks, buses, heavy equipment, trailers, caravans and motorhomes. Services provided from our easy access workshop or via our mobile breakdown service. Now open Saturdays by appointment. Slipaway is one of the leading boat movers in Gold Coast and Brisbane. We are having years of experience in boat transportation in Australia. We are skilled enough in providing our services Australia wide. If you have bought a boat or a yatch then contact us for delivering it at the right location in Australia. We supply body lift kits, engine bypasses and other 4x4 accessories across Australia for a wide array of vehicles including Toyota, Nissan, Ford, Mazda, Mitsubishi and more Gold Coast Varsity Lakes QLD 4227 australia http://www.bbkoffroad.com.au/ 478696527. OUR SERVICES: Issuance of Roadworthy / Safety Certificate (for Light Vehicles, Caravan Trailers, Motorcycles) Pre-Purchase Inspections Log Book Services Diagnostic and Repairs Engine Services and Repairs Air-Conditioning Services and Repairs Tires, Wheel Balancing and Alignments After Market Parts Installations Body Repair and Painting Call our Service Advisor at 0497888624 or 0416872347 You can also reach us thru our social media channels: Facebook: https://www. If your car has seen better days and you need reliable repairs right now, call on 1800 My Mechanic and receive a dedicated service at the roadside. This popular mechanic in Gold Coast covers 60 suburbs, so your needs are their concern. Let them get your motor back on its feet again. http://www.1800mymechanic. There is nothing more inconvenient than being off the road. Luckily, 1800 My Mechanic have you covered. We are a leading mobile mechanic in Gold Coast, covering Arundel, Hope Island, Tugun, Varsity Lakes, and much more. Simply contact us today to get started on 1800-696-324. For further info. please visit www. If you are searching for a mechanic in Gold Coast, be sure to give the team at 1800 My Mechanic a call. They offer a range of services from vehicle repairs, to maintenance procedures, and even Roadworthy Safety Certificates. Call today! For More Info : http://www.1800mymechanic.com.au/services/. When your vehicle breaks down, you can't waste time shopping around for the best deal. Give the team at 1800 My Mechanic a call - they provide mobile mechanics in the Gold Coast area, and are ready to help you out. From vehicle repairs to maintenance, they will hurry to your rescue. For more info visit here:- http://www. Mobile car roof lining repairs cheapest prices 5 year warranty all work done onsite. We also offer Marine and Auto Upholstery. Automotive Mechanical repairs Bumper paint and panel repairs http://repairbull.com.au/. 1800mymechanic is the perfect site to find mobile mechanics on the Gold Coast. With years of extensive industry experience, these professionals specialise in mobile repairs and will get you back on the road in no time at all. Whether you have flat tires, engine problems, or your battery has died it, area specialists have the tools and expertise to repair most automobile issues for new and existing customers. Is there anything more annoying than your car breaking down? Life seems to go on hold. When this happens, simply contact Magic Spanners on 0422 971 424 and a top mechanic in Gold Coast will be with you as soon as possible. http://www.magicspanners.com.au/mobile-mechanic-gold-coast/. Most of us worry about the day our trusted vehicle lets us down! But, with a leading mobile mechanic for Gold Coast handy, you know you are always covered. All you need to do is give 1800 My Mechanic a call on 1800-696-324 and we will be there to assist you at any time. For more information visit here: http://www. Professional family based company offering Quality Repairing of Automotive electrics and Air conditioning in passenger vehicles and Earthmoving equipment. address :21 Cootharaba Helensvale Qld 4212 Australia URL : http://lifestyleautoelectrics.com.au/. With over 23 years' experience in the paintless dent repair industry, you can rely on Car Dents & Hail Repairs to easily remove minor dents or dings to make your car look brand new. Address: ​5/2 PREMIERE CIRCUIT Warana Sunshine Coast QLD 4575 australia. Has your car broken down on the side of the road before? Never fear, 1800 My Mechanic is here! We can schedule and carry out routine maintenance checks, as well as coming to you anywhere, any time in our mobile mechanic vans. 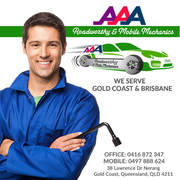 We are the most reliable and experiences Gold Coast mobile mechanic. For more information visit here: http://www. If you need a mechanic in the Gold Coast or surrounding areas, 1800 My Mechanic has you covered. We offer a full range of mechanical services anywhere, any time. With our full equipped mobile mechanic van, our friendly staff will be able to get you back on the road in no time. For more information visit here: http://www. Car giving you troubles, or do you simply need yourself a service? There's no job too big or too small for the team at Magic Spanners. Call them or get in touch today for a Gold Coast mobile mechanic who can do the job right the first time around. For more info visit here:- http://www.magicspanners. Car owners often don’t know which mobile mechanic on the Gold Coast to trust in a time of emergency. With 1800 My Mechanic, they work with reliable mechanics who will tell them about the repairs and costs. For more information visit here: http://www.1800mymechanic.com.au/. Make your car sing or purr when you get a mechanic on the Gold Coast to come and help you with your engine. Let them get under the hood and engage the services of the Magic Spanners crew. They'll show you what you've been missing! 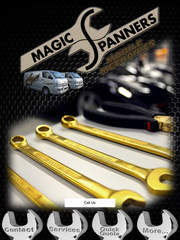 For more info visit here:- http://www.magicspanners.com.au/mobile-mechanic-gold-coast/. Emergencies don't wait for your schedule, so why should you wait on the schedule of an auto mechanic? Magic Spanners is a mobile mechanic service that has qualified personnel available at your convenience. With a one year warranty and ability to service any make or model, Magic Spanners is your go-to solution. A Gold Coast mechanic can handle all necessary maintenance and repairs. A mobile mechanic on the Gold Coast will handle your repairs faster and with far less hassle. The van carries everything the mechanic needs to get your car back on the road quickly and easily. For more information visit here: http://1800mymechanic. For both routine maintenance and emergencies, it's faster to call Gold Coast mobile mechanics. A Gold Coast mobile mechanic van has all of the tools and skills needed to handle minor repairs without waiting around at a shop or costing the earth. For more information visit here: http://1800mymechanic. Magic Spanners are mobile mechanics in Brisbane who offer a one year/twenty thousand kilometer warranty on their services. Discounts for pensioners and a wide range of auto parts are available in the service of any make or model. 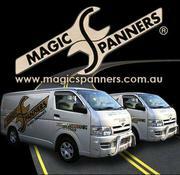 For more information visit here: http://www.magicspanners.com.au. They accept all forms of payment, and work with precision to repair and resolve a range of automobile issues. This includes batteries, along with engine problems and more. For more information visit here: http://www.australianantennas.com.au. Magic Spanners are Gold Coast’s preferred Mobile Mechanics. From the regular car service to car repairs, Magic Spanners will come to you, at your convenience. Magic Spanners provide a hassle-free experience that allows you to get on with your busy lifestyle. Fort more information visit here: http://www. Australia free ads for Automotive services , Gold Coast, Automotive services free ads Gold Coast, Automotive services for sale Gold Coast, Automotive services to buy in Gold Coast. Find on this page free classifieds for Automotive services in Gold Coast. This listing includes classifieds for sale and to buy in Gold Coast. FREEADSAustralia Gold Coast offers you a platform to post free advertisements or classifieds for Automotive services in Gold Coast. FREEADSAustralia helps you search, find buy, sell, rent or hire in various categories like apartments, goods for sale, local services, cars , jobs and many more in Gold Coast. If you posted an advertisement in category Automotive services of FREEADSAustralia Gold Coast before please use Edit my ads button to change or cancel your ad. Automotive services Gold Coast ads Gold Coast, Automotive services classifieds Gold Coast, Automotive services free ads Gold Coast, ads for sale Gold Coast, ads to buy Gold Coast, FREEADSAustralia. Find here ads for sale, to buy and rent in Gold Coast. Goods for sale in Gold Coast, vehicles for sale in Gold Coast, Gold Coast real estate for sale, Gold Coast property for sale, property for rent in Gold Coast, business ads in Gold Coast, Gold Coast business classifieds, services in Gold Coast, Gold Coast services ads, jobs in Gold Coast, pets for sale in Gold Coast, Gold Coast dating, Gold Coast cars for sale.